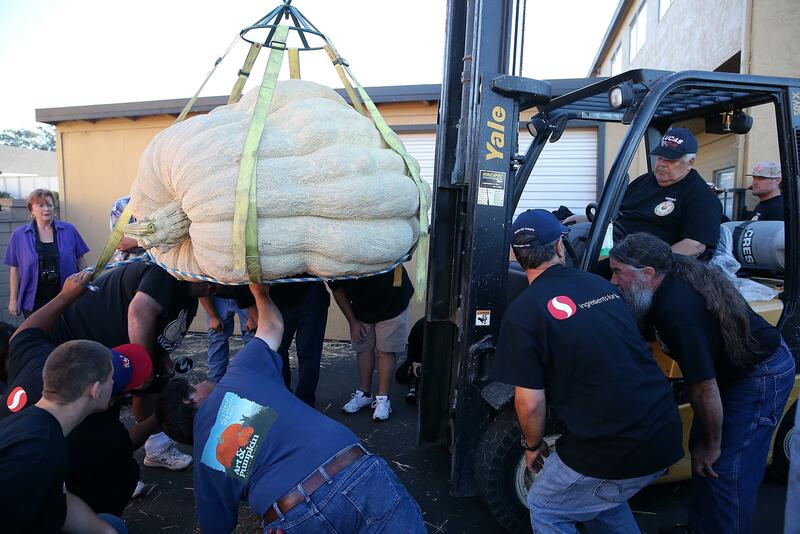 The Safeway World Championship Pumpkin Weigh-Off crowns a new winner. My pumpkin’s bigger than your pumpkin. 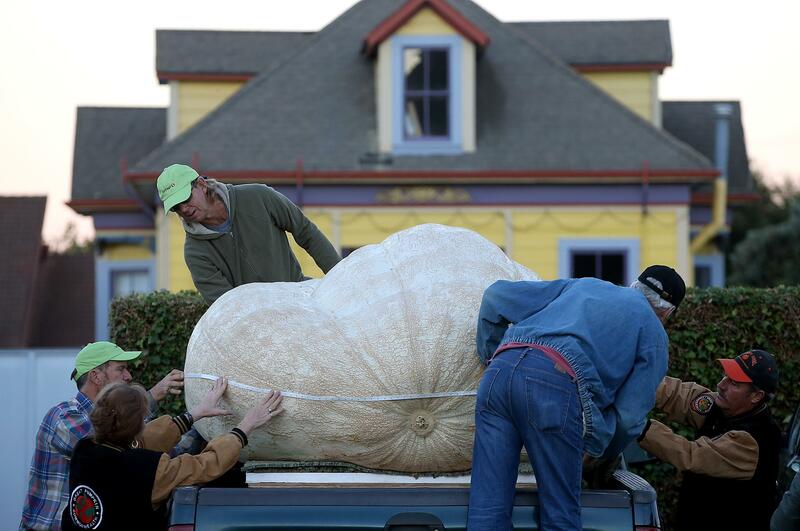 Here’s this year’s winner weighing in at 2,058 pounds grown by John Hawkley, who took home a cash prize of $12,510—or six bucks a pound. Specimen must be grown, cared for, and entered by the weigh-off contestant. Specimens must be in healthy and undamaged condition, free of rot, holes and cracks through the cavity, chemical residue, and soft spots. To be classified as pumpkin, specimen must be 75% yellow/orange in color; all others will be classified as squash. The vine must be trimmed to one inch from the stem. No foreign material is permitted in the weighing. Here are some more super sized pumpkins for you.